RUMBLE RIDGE is a small, private ranch specializing in equine rehabilitation, health and wellness. We offer equine reproduction services through Goldyn Equine LLC, for artificial insemination and embryo transfers, with amenities for your breeding needs. We also offer continuing education clinics by visiting professionals for horsemanship, bio mechanics, and equine wellness. We believe in a holistic approach for happy, healthy horses and their owners. We offer custom trail rides for our boarding clients and their horses. We help support safety and fun, while making sure horses and riders have an enjoyable trail riding experience tailored to their skill levels, abilities and horse fitness. 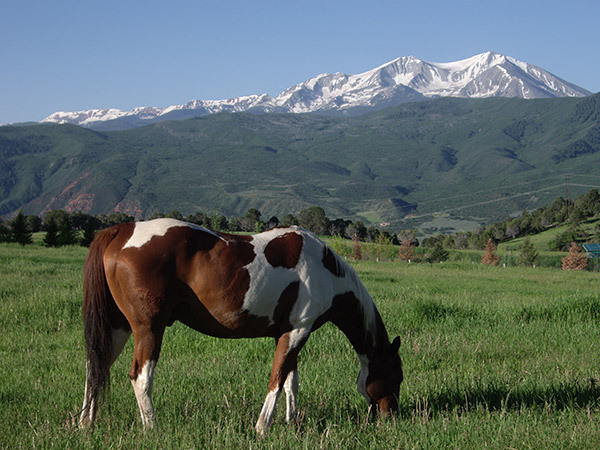 Mountain Trails offer great cross training opportunities for many show ring horses, while riders enjoy the social, friendly camaraderie under our Colorado skies. 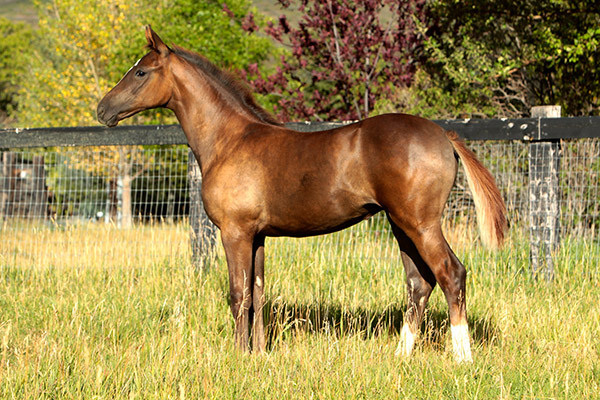 The breeding program offers a few exceptional young Oldenburg horses for sale by appointment. Featured in 2018 – Juniper Hill – awarded Premium, “Foal of Distinction” as a weanling in 2017 by the German Oldenburg Verband. Rumble ridge offers a small selection of riding and trail horses for sale each year. The breeding program offers a few exceptional young Oldenburg horses for sale by appointment. We work in concert with your veterinarian for the exact protocol to heal our equine patients. Treatments include: confinement, hand walking, hydro-therapy, icing, wound treatments, bandaging, daily medications, and after surgery physical therapy, with access to chiropractic and acupuncture services; Your horse is our priority. Rumble Ridge offers clinics and lessons from many different equine professionals. All lessons, English & Western, will emphasize a correct, solid foundation for stability & proper balance of the rider. At Rumble Ridge we use the natural horsemanship philosophy of “Less is more”. The quiet, subtle approach of communication with your horse is taught for a true partnership between horse & rider. Inside stalls and outside dry lot paddocks with shelters and water are available. Full service horse care, farrier, veterinarian, training and exercise.